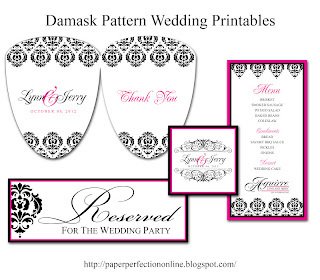 I love working with brides (or their event planners) to design printables for their special wedding day! I recently worked with an event planner to add some special touches including fans, gift tags, reserved seat signs and menus for Lynn's wedding. The images are all below. 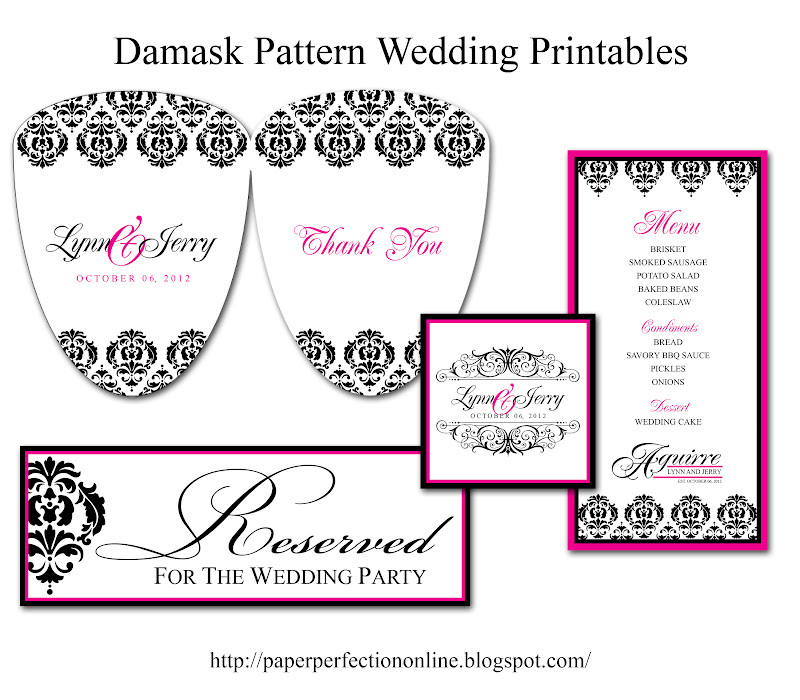 If you need help adding special touches like menus, programs, favors, signs, table numbers or whatever you can dream up contact Paper Perfection at jtanddolly@yahoo.com for pricing and details.